Fat Fighter is a diet pill brought to market by IT Works, the company is based in Florida and offers a number of other health and beauty products, along with a range of “IT Works” branded apparel. IT Works has received a favourable mention in Forbes, but the Better Business Bureau has received a lot of complaints about IT Works and the company has been refused BBB accreditation. However, many of the complaints are to do with customer service issues and problems opting out of the autoship program. We did not find any complaints that specifically mention Fat Fighter. IT Works Fat Fighter is designed to function as an “advanced formula” fat blocker. Supplements that block dietary fats contain ingredients that prevent the body from absorbing some of the fat provided by food. The undigested fat passes through the body without releasing any calories and then leaves the body with the faeces. There are nine calories per gram of fat, so fat blockers that work in the desired way can be very effective for helping people to lose weight. Many fat blockers contain an ingredient called Chitosan that is sourced for shellfish. 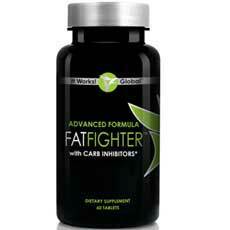 IT Works Fat Fighter uses a cactus extract instead, so it may be a better option for people with seafood allergies. 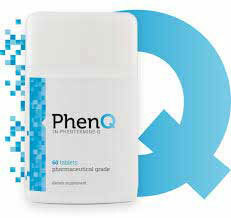 The tablets are also intended to reduce carbohydrate absorption. There are four calories in every gram of carbohydrate consumed so, if the tablets can do this, and help reduce hunger cravings as well, they should have a lot to offer. Chromium (150mcg): A mineral that helps prevent the sudden elevations in blood sugar that may lead to a desire for sweet food. NeOpuntia (500mg): A patented form of nopal cactus extract. Nopal is renowned for its ability to suppress hunger and it also has proven fat blocking abilities. Garcinea cambogia: A fruit extract that provides the appetite suppressing chemical HCA (hydroxycitric acid). HCA further supports weight loss by preventing the formation of fresh fat cells. White kidney bean extract: An ingredient that appears to have the ability to block carbohydrate absorption, but a high dose is required. The subjects involved in one study were given 1000mg before each meal. it seems unlikely that the quantity provided here will be sufficient. Bitter melon: Also called African cucumber, bitter melon is sometimes used to treat stomach dissorders, and might help regulate blood glucose levels, but further study is needed. Banaba leaf extract: A nutritious plant extract. The present level of research is inadequate, but banaba is said to be capable of preventing the body from creating fresh stores of fat. Wheat amylase inhibitor: An ingredient that may help block carbohydrate absorption, but the quantity used is unlikely to be enough to offer much benefit. Gymnema sylvestre: A herb that is favoured by the practitioners of traditional Indian medicine. It is believed to have the potential to assist weight loss, but study results are conflicting. Vanadium: A trace mineral that may have the potential to help diabetics keep their blood sugar levels under control. Two tablets should be consumed during a main meal or up to 60 minutes afterwards. It’s also important to drink at least eight glasses of water per day. It is worth noting, anyone taking two tablets with breakfast, lunch, and dinner will need to crack open a fresh bottle of pills every 10 days. Women who are pregnant or nursing a child are told to seek a doctor’s advice before they start using Fat Fighter. The same advice is offered to people who have health problems or are using medication. Although the Fat Fighter marketing material neglects to mention this, people using fat blocking products need to be careful they do not eat too much fatty food. This would give the fat blocker extra fat to block and could lead to soiled underwear and other embarrassing incidents. 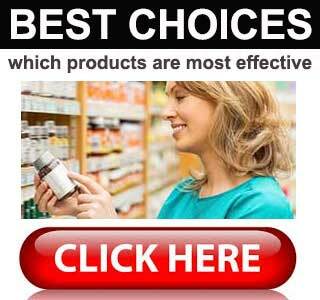 It is also good practice to use a quality vitamin product when using fat blockers. This will prevent the body from being robbed of important fat soluble vitamins. IT Works uses multi level marketing (MLM) to help distribute its products. 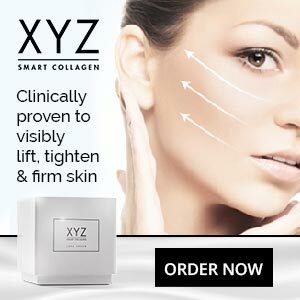 A lot of the company’s distributors have created their own websites. When customers try to make a purchase they are redirected to a (distributor) personalized version of the official IT Works online store. Each bottle of IT Works Fat Fighter contains 60 tablets and has a retail price of USD$ 43 (£33.60), but customers who agree to accept a fresh consignment of pills every month, via the company’s autoship program, achieves “Loyal Customer” status and only needs to pay USD$ 25 (£20). However, people living in the UK will probably be unable to obtain a supply of IT Works Fat Fighter because ItWorks.com has a special store for each country and it is not possible to buy Fat Fighter via the UK version. IT Works do not provide customers with a money back guarantee. Although the blend contains some good ingredients, customer reviews suggest IT Works Fat Fighter fails to deliver the goods for around 50% of users. The reason for this is unclear, but it is possible the people who have been let down by the product ate diets that were rich in carbohydrates. If this were so the carbohydrate blocking ability of the tablets may have been insufficient for their needs. Bearing in mind the fact that Fat Fighter is not sold with a money back guarantee, many people may prefer to choose a product that has better customer feedback.